Ordered from Tom Henry Chevrolet. Supercar Sways: 27mm Front and 32 mm Rear (FE4/5 LCA upgrade, Installed by Hartley Automotive). Last edited by SSE 4 2SS; 07-05-2012 at 03:53 PM. Fresh from the factory tucked away in Tom's garage. 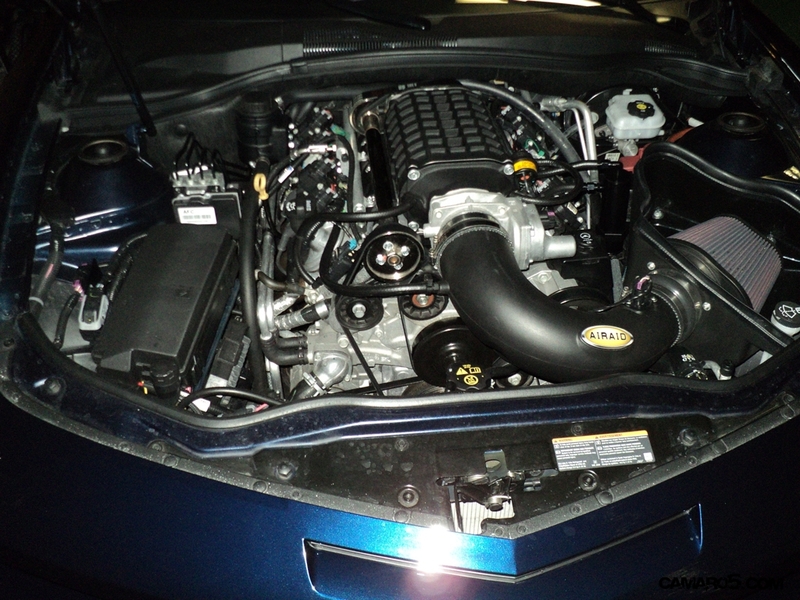 Supercharger and ARH exhaust install. Great Job Tony! And finally picking up THR 22. Thanks again, to Tom, Fbod, Number 3, Pete, Speedster, Tag, MrC, Dragon, Cyn, Blade, Zebra, Mlee, 68, Shno and especially PQ for keeping me "occupied" while I waited. First pic back home in FL. First Mod. Airaid asked me to modify and test fit an intake on the maggie. 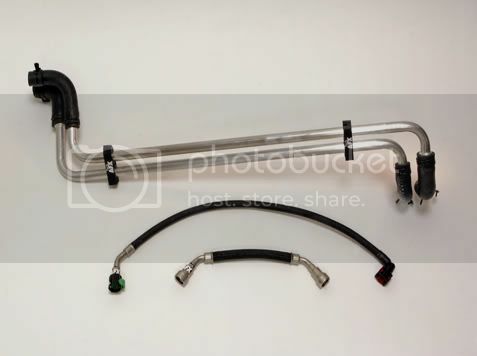 TechAFX heater hose relocation kit. Hard to see in this pic. The heater hoses that normally run over the top of the passenger side valve cover are now routed below the passenger side heads, above the headers. First Cosmetic Mod. Color matched antenna from BeckyD@rodgers. Heritage Grille, again from Becky. Coupe pics after a polish and wax. Brake upgrade - Powdercoated SS rear and CTSV front calipers, with ZL1 front rotors. Last edited by GTAHVIT; 11-09-2012 at 02:38 PM. Reason: . Take off and Fly By. DIY Install Catch Can on a LS3 with a Maggie. My plans changed.. Even though we are relatively certain that the Z28 will be here eventually, I can't wait any longer. I've decided that Tom Henry has the best setup for me. I've updated my OP with the information on my build. His new Supercharged THR cars have everything I wanted with one stop shopping. I'll post all the updates here as things progress. I even changed my color.. Order number is in hand, now just waiting on the car. Tom has been awesome to work with. I'll post all the updated here as things progress. Ask Pedders Pete about his pedal setup. The anticipation and careful (OK, some impulse) planning have paid off. GTA's car will be a screamer and look good too !! Pedals... I forgot all about that... I need to do that. Late to the party but quick to jump on the mods. Just think, yours will be shinier than most of ours. Mines gonna have about 30k by then.